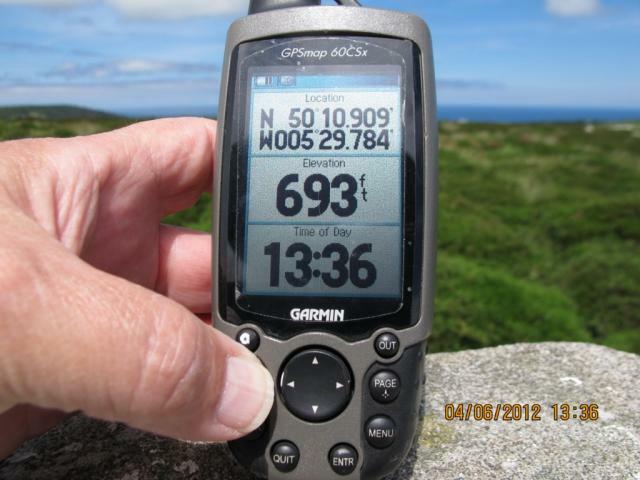 Is ranked joint 2170th with 18 other trigs (more). Tricksie access due to being surrounded by a massive sea of gorse. From the Engine House pub car park at Cripplesease. RoW heading E initially then veered off NE to pick up a wall of large boulders at SW 50265 37112, walked (boulder hopped) along its top following it round to the trig in rapidly diminishing daylight. 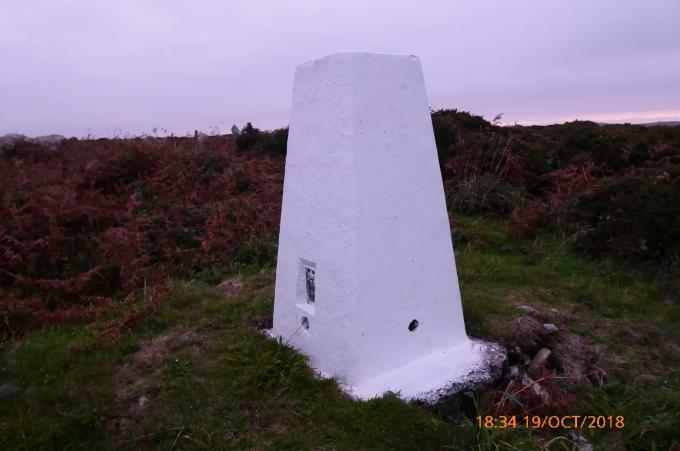 Pillar has a fresh coat of brilliant white paint, unfortunately it's not in a prominent location so can't be seen from anywhere. 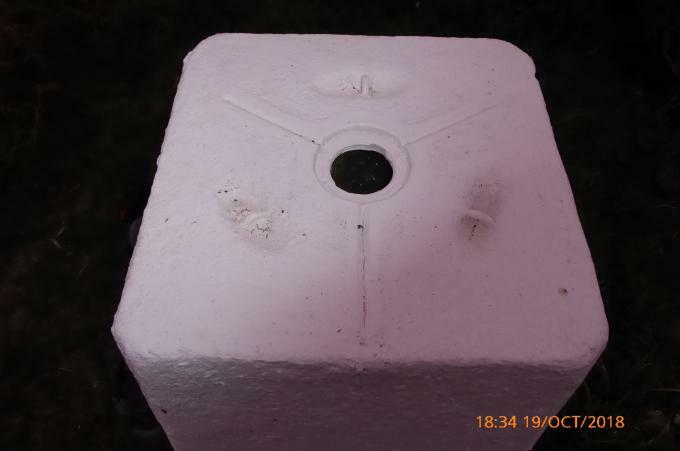 Centre cap missing, no plug; sight holes not noted, but photograph shows front and RHS holes open. Views also not noted, but would seem to be minimal. Very recent coat of paint. Even the brush remains. Sight holes open and cap missing. 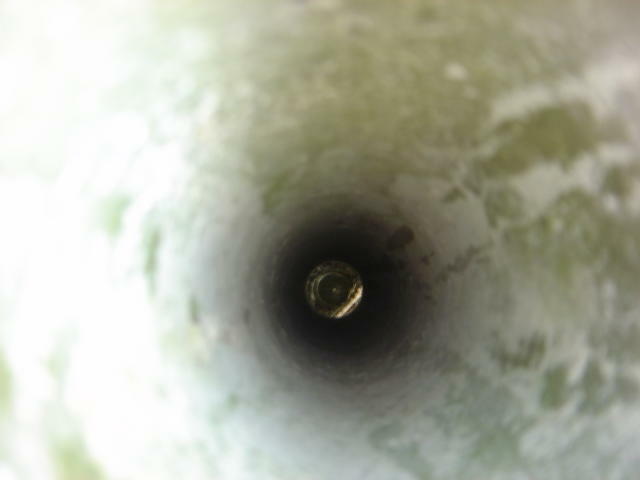 Bolt visible. Grass trimmed from around base. some one is taking care of this pillar. Access from Engine Inn, along footpath/track to second gate on left, then up a boggy path to the north of the wall following animal tracks. Wet but easy. From the Engine House pub. Along the FP on the S side of hill until the point where it meets the access land. I went through the right hand gate and met a quagmire. Then there was an intermittent path, but I had to go though the gorse, bramble and dead bracken for much of the way. Unpleasant. Trig in vgc, No cap. 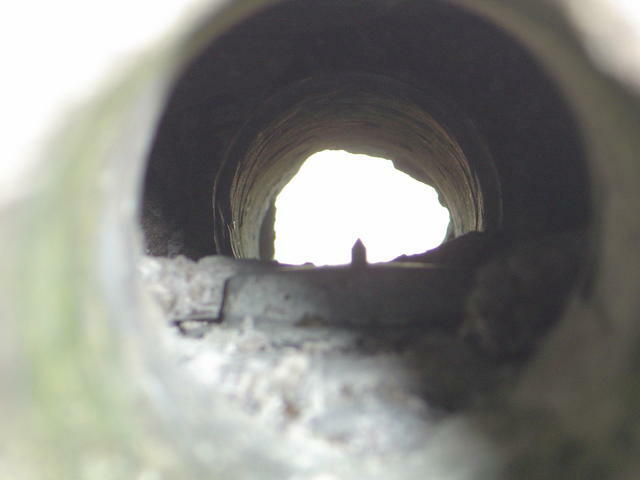 Bolt visible. Excellent views. But marked back down for the challenge of reaching it. 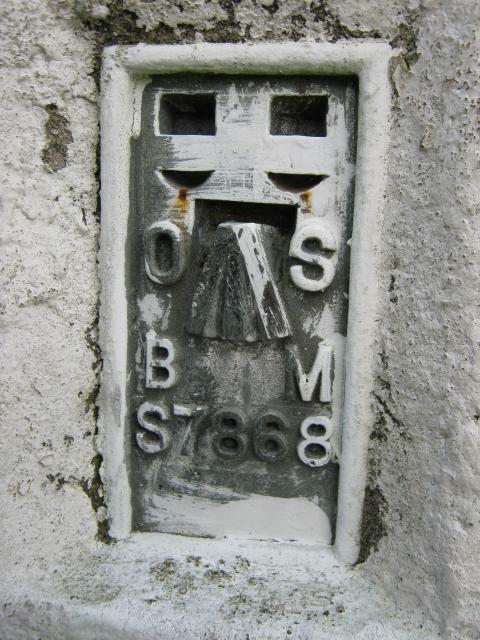 From Engine House pub, Cripplesease, took marked footpath to SW. 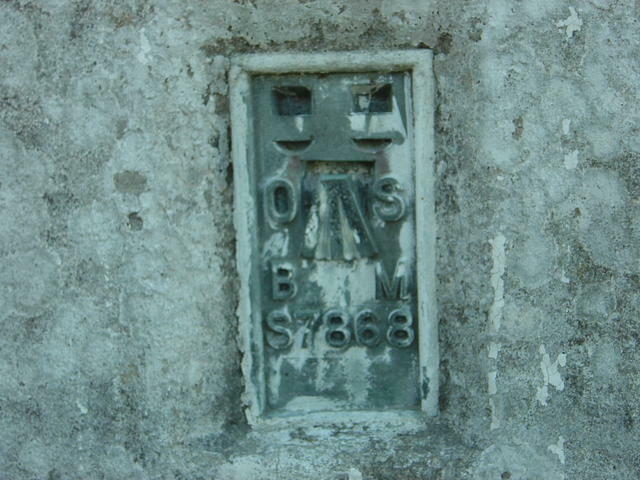 Followed Access Land boundary to reach wall junction with water tank. Followed top of boulder wall (NW), alpine ridge style, to summit, above thick gorse. 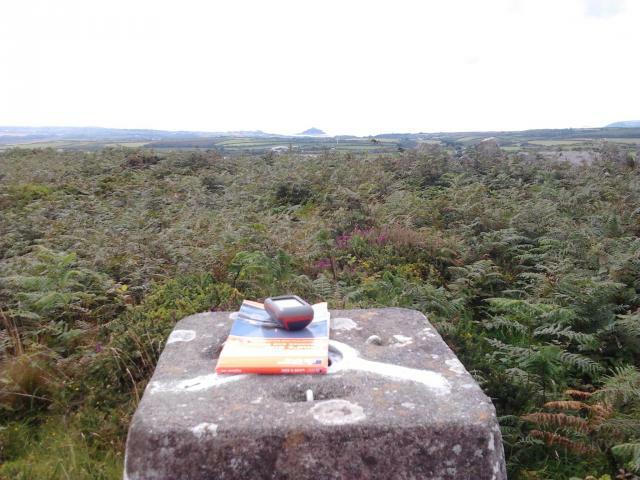 Trig c 18 p to east of wall through knee high bracken and gorse, not too dense, but long trousers help. Good route. 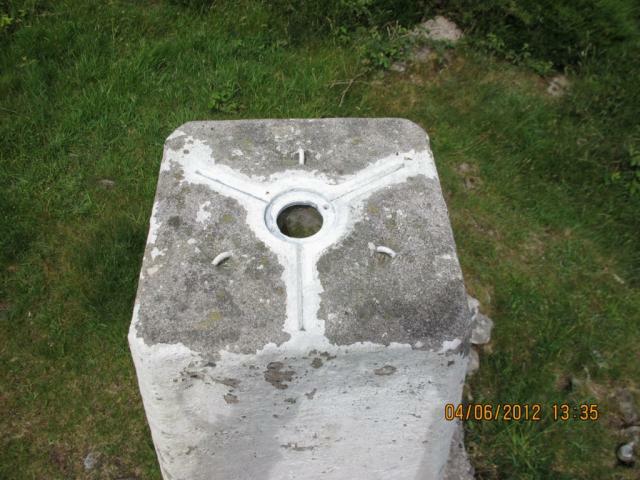 Found whilst geocaching in the area! 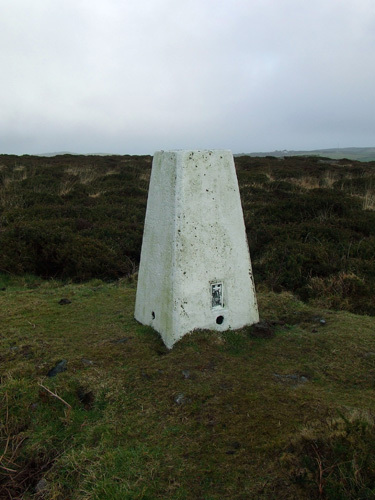 YSM424 Trink Hill. Parked in a layby at bend in road. 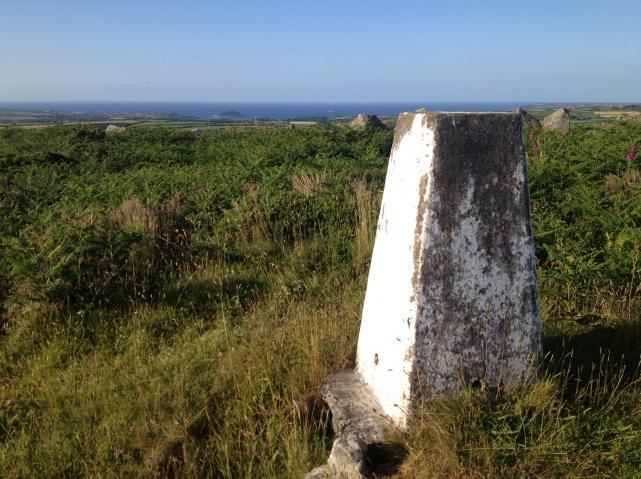 Cut across 2 fields and then walked across the top of the boundary boulders to the trig. A good leg stretch. Cheers. A right pig this one. Parked in the pub car park and followed the path through the fields. A bit uncertain where to head up but finished up going up by the first wall then a couple of hundred yards following animal paths through the gorse. Took a different route back following the wall near the trig back down, a bit of a path developed in the gorse and brambles but ended up in a bog surrounded by blackthorn bushes. Managed to get over the wall and through the bushes before making my escape. Encountered a Welsh Black bull in the field on the way down as well - a breed I'm always wary off. Got to give this one max score for the effort it took me to get there. Totally ignored previous advice read earlier that morning. Parked at the CP roughly 500m W and walked N along road to where vehicle tracks had made inroads into the bracken and gorse. I then stubbornly made far less effective inroads for the 45 minutes it took to cover the very short upslope to the the large boulder wall which I used gratefully as others had. I was pooped, knackered, ballbagged and ready for a beer. Route back was NW to the road junction following a horsemade path, then Sunday lunch at The Engine House didn't touch the sides! I hate this trig as much as I love it! Very hard getting to this one even with getting permission from local resident to go through her back field. Saved mega time though. Loads of gorse but stunning views. Came for nearby multi geocache and to bag this one as YOSM424. 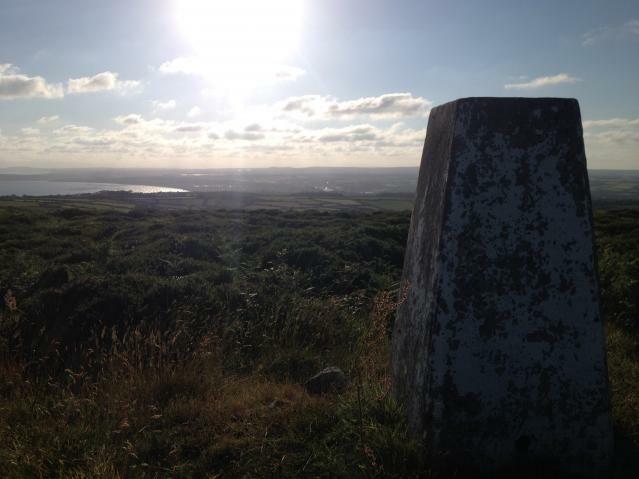 Hard slog up the hill through the gorse and bracken, but amazing views at the top made it all worthwhile. 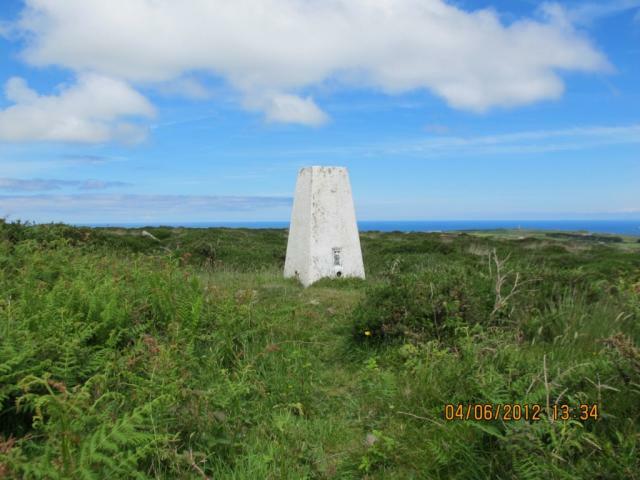 Staying in Hayle for a couple of weeks, and thought I'd head out for an early morning run to this trig. Lovely day for it. Hard work to the top of the hill though. Ended up "walking" along the boulder-wall from the SW near Cripplesease and taking the right angled turn to the SE to get to the pillar. Very hard work. 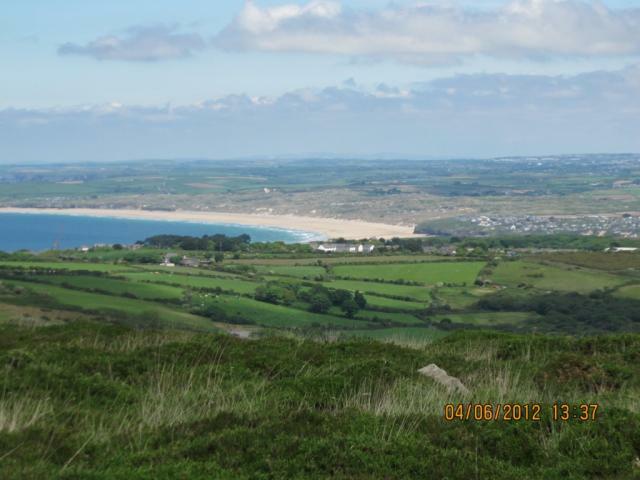 Tremendous views though to both the North and South Coasts. A prickly walk up for my 2000th geocache find. 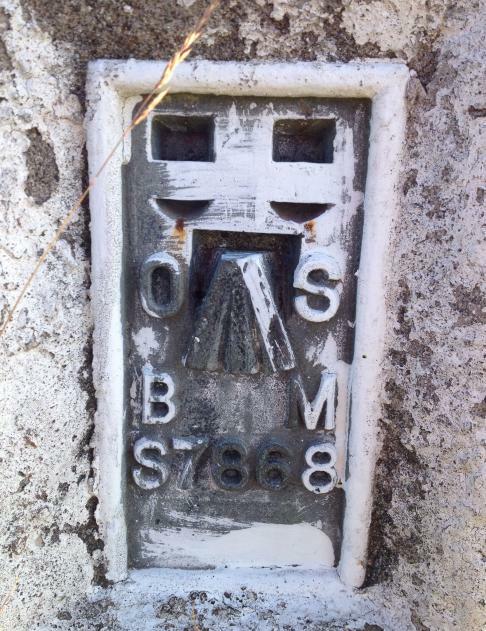 This trig also doubles up as a Virtual YOSM cache, bagged the summit too. Happy days. 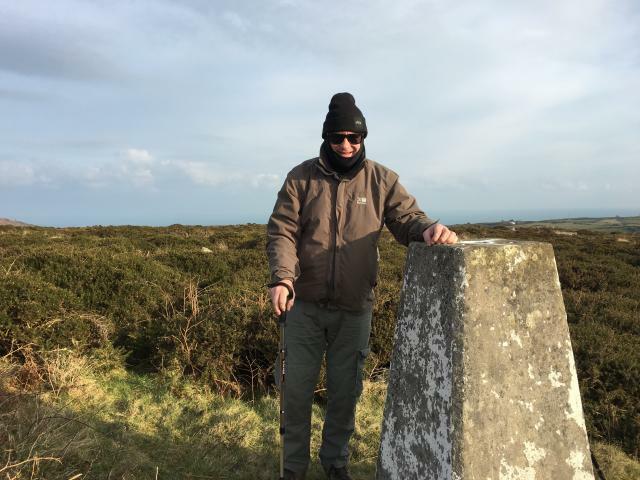 Of all the trigs I�ve visited over the last 4 days, this was undoubtedly the one that made me work the hardest�. And all of my own doing. If I�d have stuck to my original plan, it would have been a lot easier. I parked in the car park opposite The Engine Inn at Cripplesease and had a swift pint and a packet of crisps before setting off on the well hidden footpath that runs around the south side of Trink Hill. If you have trouble finding the start of the path it�s at SW 50017 36785. I walked across a couple of fields until I picked up the gravel farm road. I followed that until I was roughly south of the pillar and then started bushwhacking up the hill� BIG MISTAKE. It�s almost impenetrable, thigh deep gorse and other assorted spiky bushes with a couple of stone walls chucked in for good measure. If you intend doing this one, stay on the farm road until you reach the two gates at SW 50698 37010 and then go through the right hand gate and follow the stone wall, keeping it on your left. 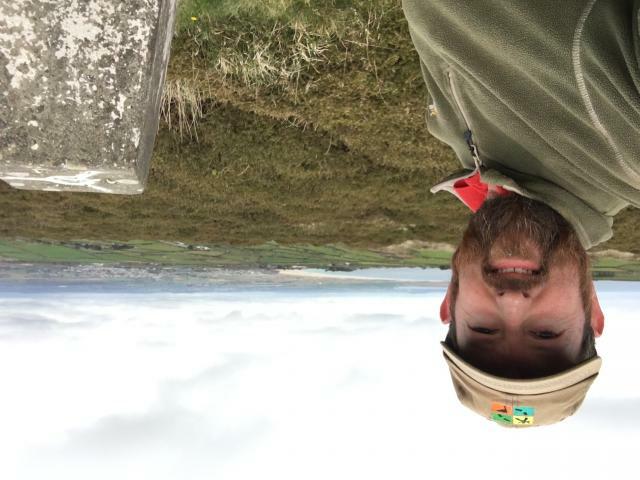 You�ll still have gorse to contend with but at least there are no walls to climb over. This is NOT one to be attempted in shorts as your legs will be seriously shredded. 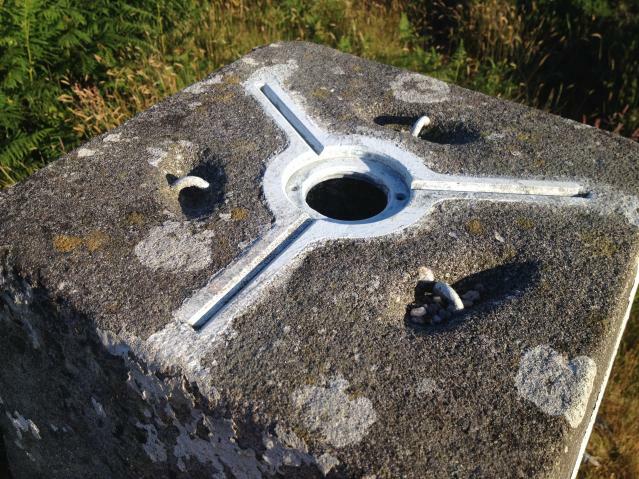 The pillar, once I�d reached it, had been liberally coated in white paint, spider, flush bracket, everything but was never the less structurally sound. The centre plug, of course, was missing. 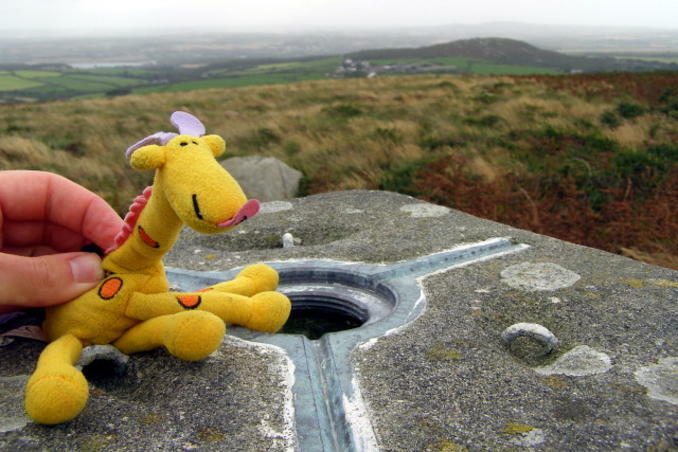 The views were fantastic; you can see both the north and south Cornish coasts from up here. Well worth the effort expended in getting here� Oh yes, it was also my 200th YOSM location visited. Difficult ascent from mine car park towet (should have read previous logs before going away for the weekend) and easy descent to road junction to NW. 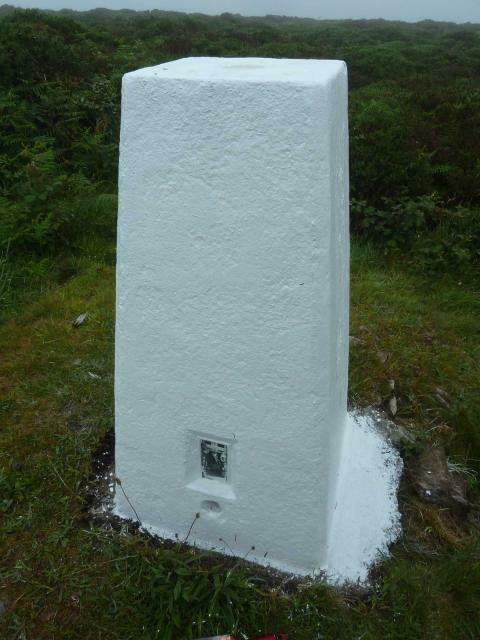 White trig - even the spider is painted white. No centre plate. 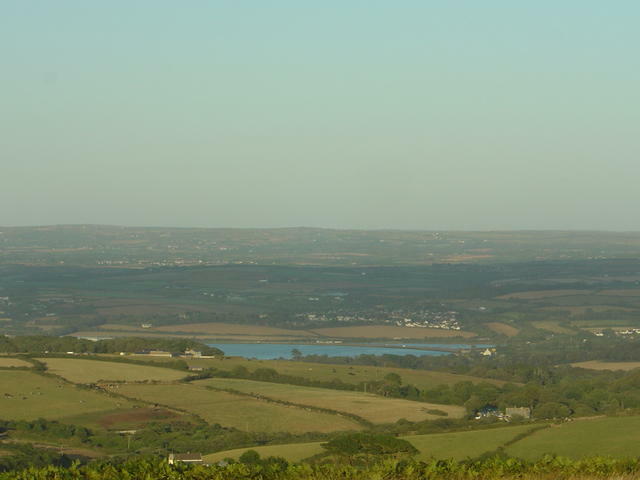 Great views of the width of Cronwall - both St Ives Bay and St Michael's Mount visible this morning. 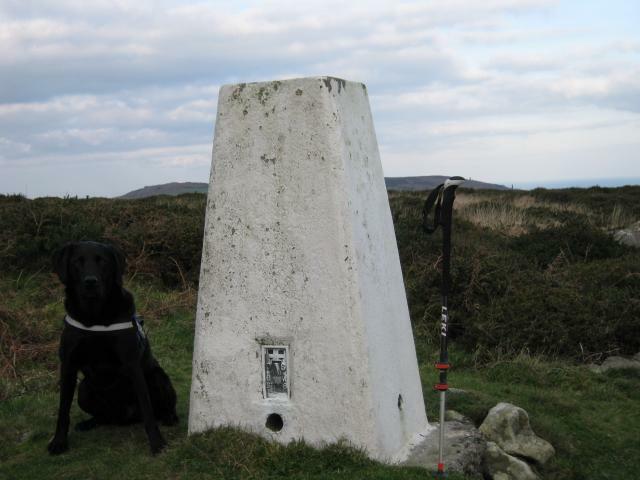 Had a nice walk along the footpath with the geohound and then made our way upto the Trig. Logged whilst finding the new geocache here. Great views, even on a misty day like today. Loads of mining remains in the vicinity, including some unmarked shafts, so probably best to stick to the well defined paths. 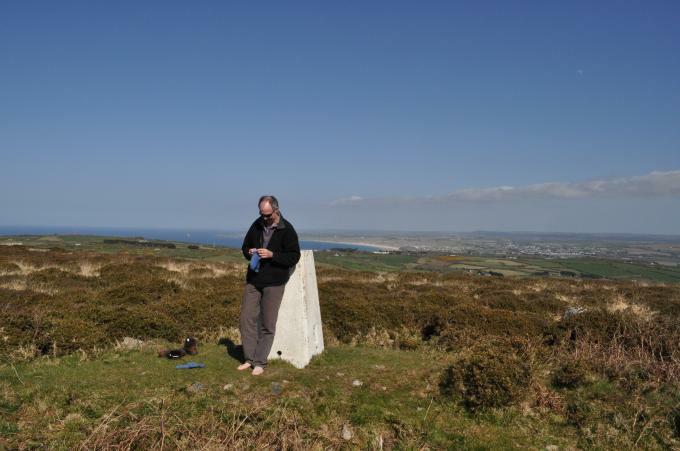 Parked car on car park of the Balnoon Inn to NE.Slogged up small track through bracken and gorse to pleasant summit.Good views all round.Returned by ROW. 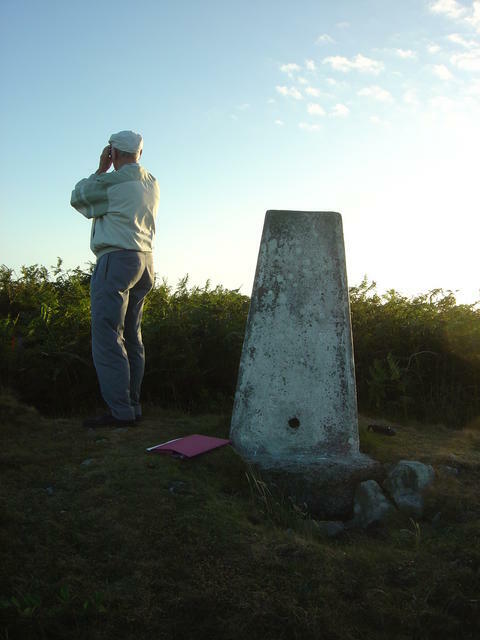 The pillar stands on a gorse covered hill to the south of St Ives. I approached by means of the footpath from Cripplesease. My final ascent involved all the nimbleness my portly frame could muster as I walked up the wall of chunky boulders; gingerly stepping from rock to rock. 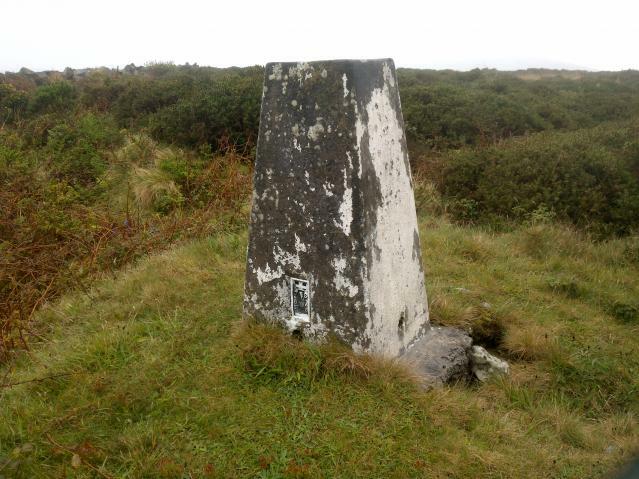 The bracken is less intense near the summit and the trig is easily reached from the boundary wall. 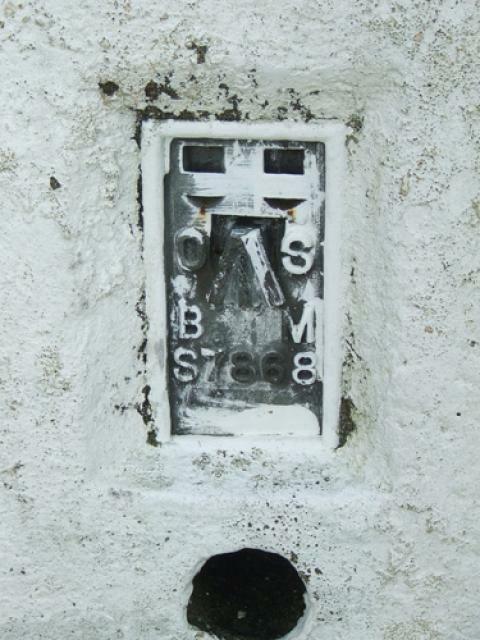 The pillar lacks a cap or plug, the foundations of its base are exposed on one side and it has FB S7868. The site has a tremendous view. 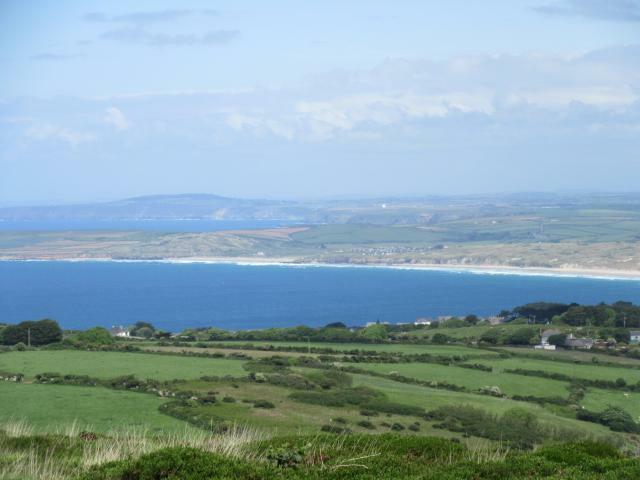 St Ives Bay can be seen on the north coast and St Michael�s Mount on the south coast. 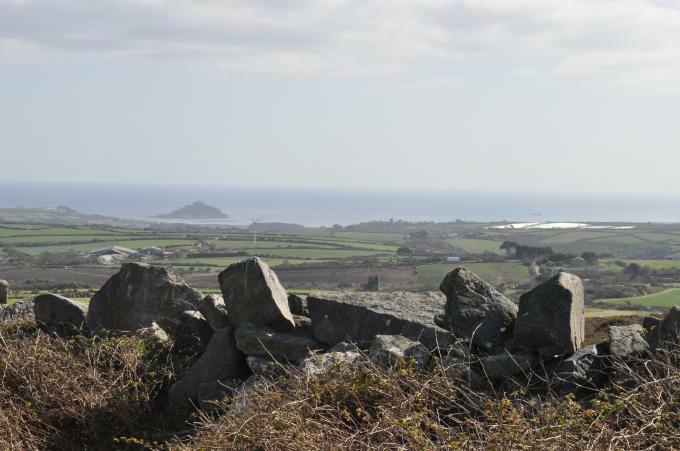 The hills and moors of Penwith can be seen to the west. 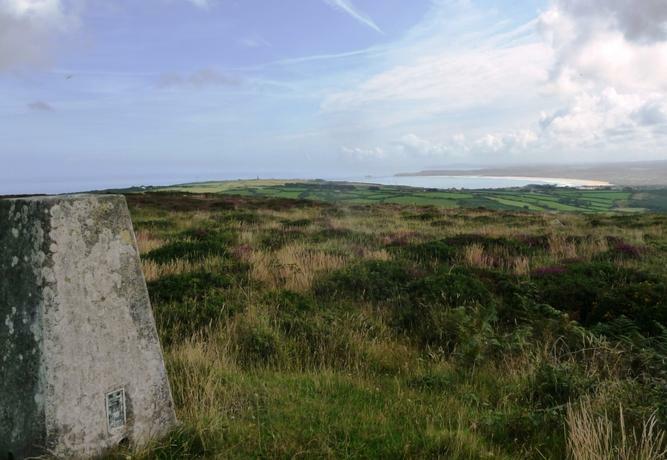 St Agnes Beacon, Carn Brea and other hills and downs of Mid Cornwall are to the east. 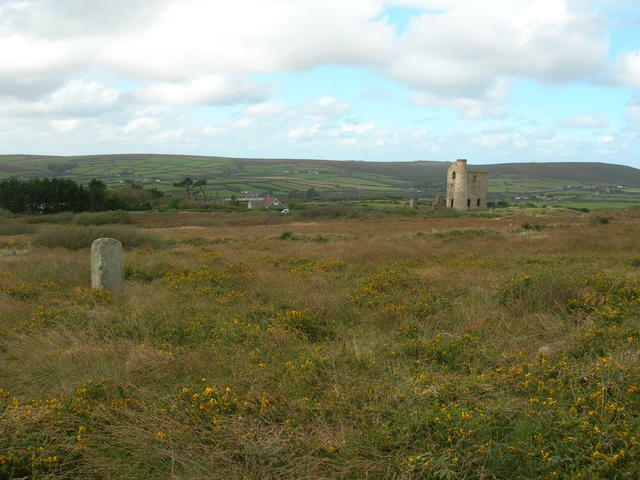 The hill is within the West Penwith area of the Cornwall AONB. 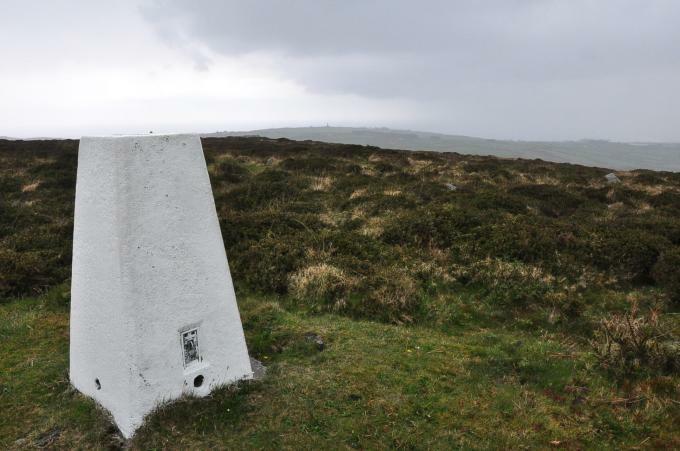 Unless you like wet feet and the pain of gorse-scratched legs don't try to get to this trig point from the car park alongside the road at Giew Mine. Take the footpath heading ENE from close to the pub in Cripplesease. 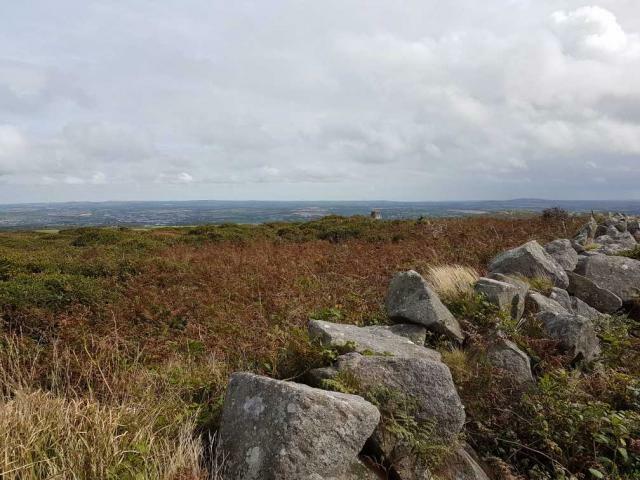 Once you've passed the 12 O'Clock Rock (obvious lump of granite up the hill on the left) head up the hill along the path through the bracken keeping the chunky stone wall to your left. 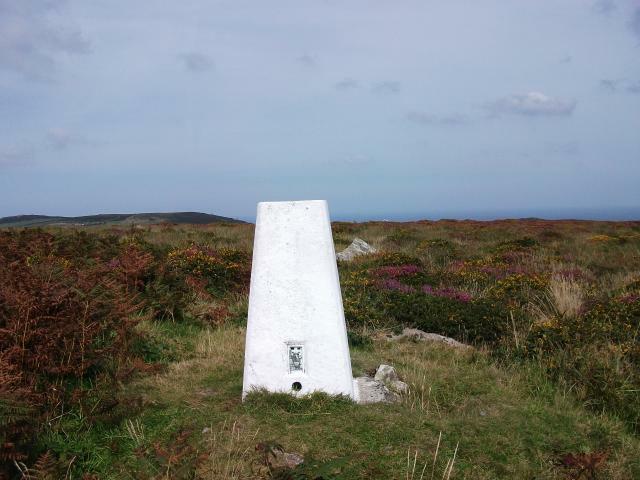 The trig pillar is on top of the hill. Very windy up there. On top of the pillar Windy afternoon. 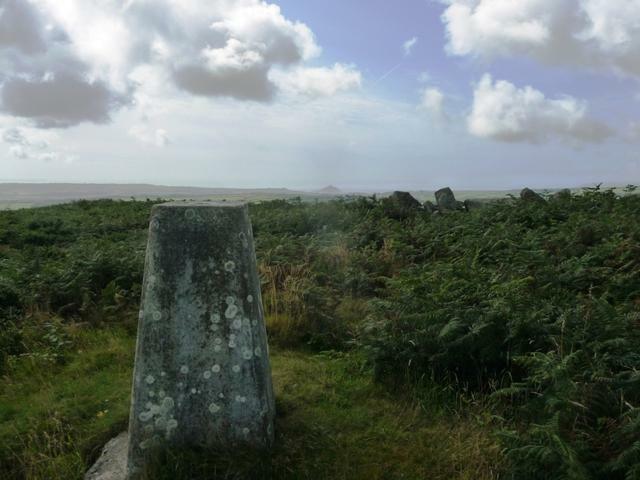 The pillar Trencrom Hill in the distance to the south-east. 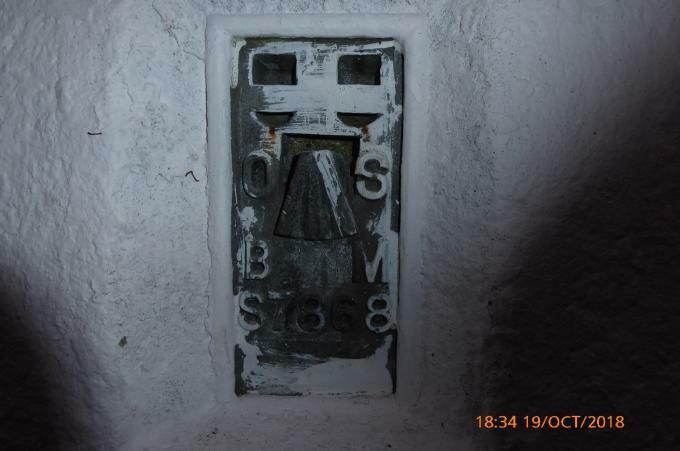 Tricky scramble from Giew Mine Engine House (dates from 1874) on B3311. 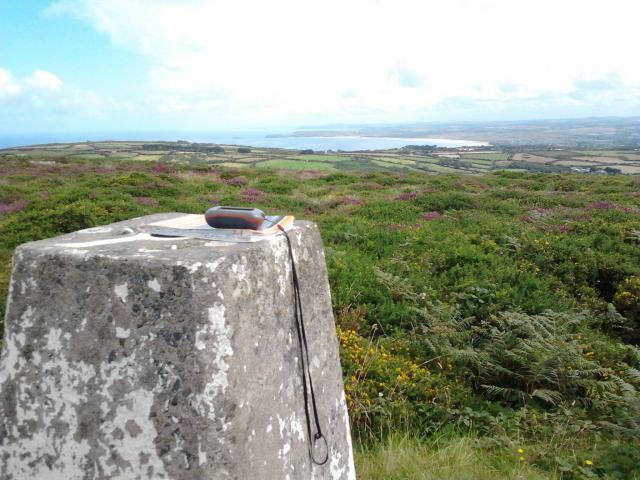 One of the best 360 degree views in Penwith. vgc, no cap or plug, floral tributes a few weeks old. Striking stone wall adjacent, built of massive boulders - wonder how (and why). From old mine building to W (car park), awkward tussocky terrain, path continuous although faint in places. 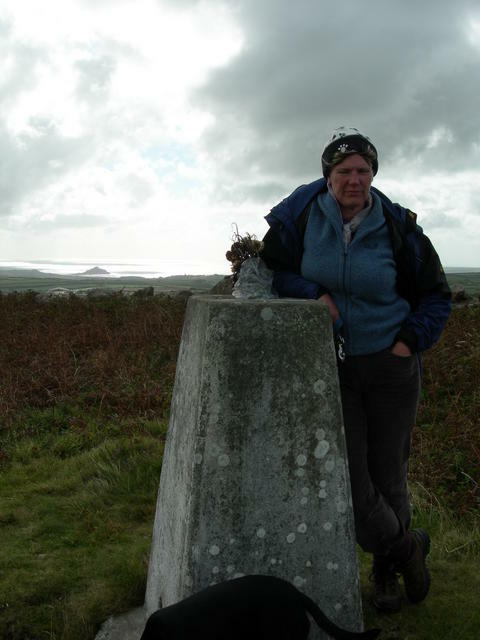 Done on a stroll from St Ives to Marazion (St mickys mount). 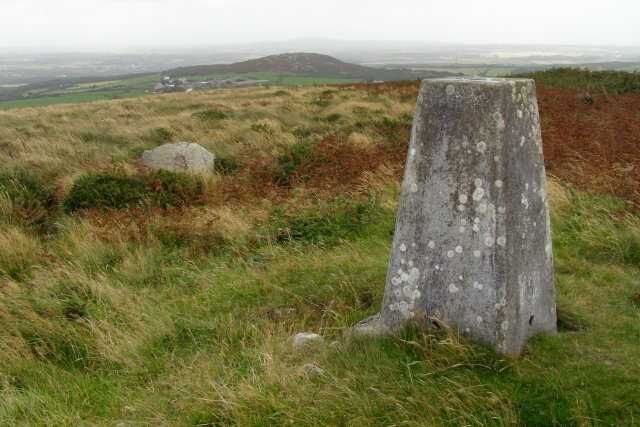 When Trink is approached from St Ives (North - balnoon pub) there is a waymarker pointing directly up the hill. 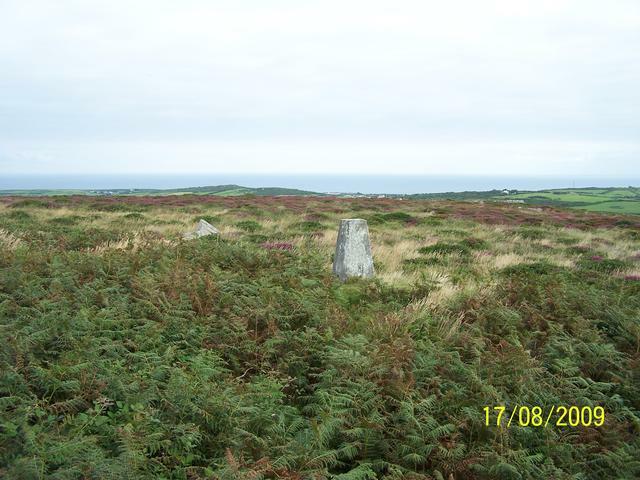 As previously logged, gorse , heather rocks and potholes are more evident than a footpath. Most uncivilised. 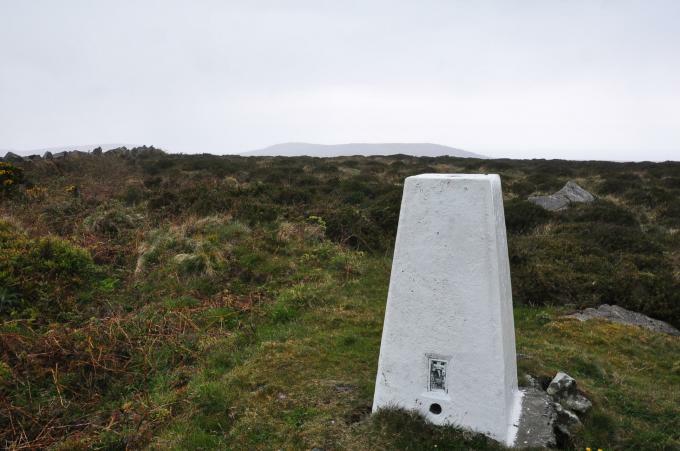 A large boulder appears to indicate summit, but trig is a further wade (maybe 75m) through gorse. DONT go this way if you have bare legs! or any grain of common sense! 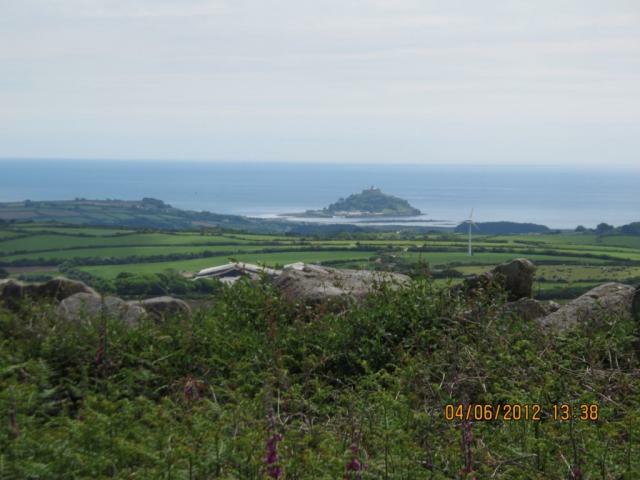 Views are very good of N and S coast St Michaels Mount - Godrevy ETC. Weather was changeable, and while I was up there I watched visibilty reduce worryingly fast from sunny to very misty, before improving again thank goodness. Descent was much easier by following boulder wall downhill in SE direction and on to cripplesease. (Anyone doing out and back use this route). 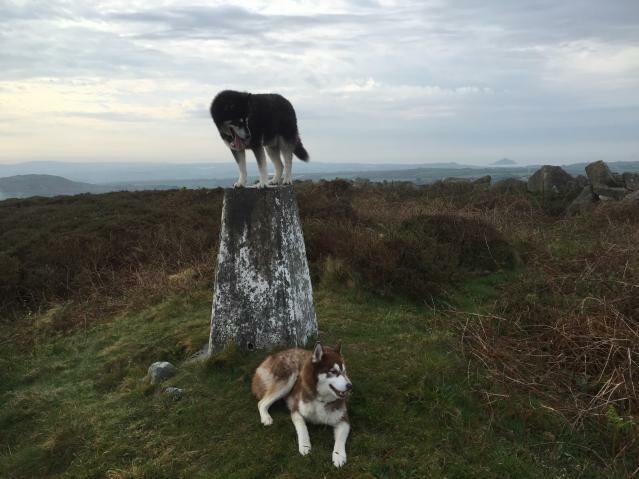 TBH IMHO the nearby Trencrom hill is more interesting. 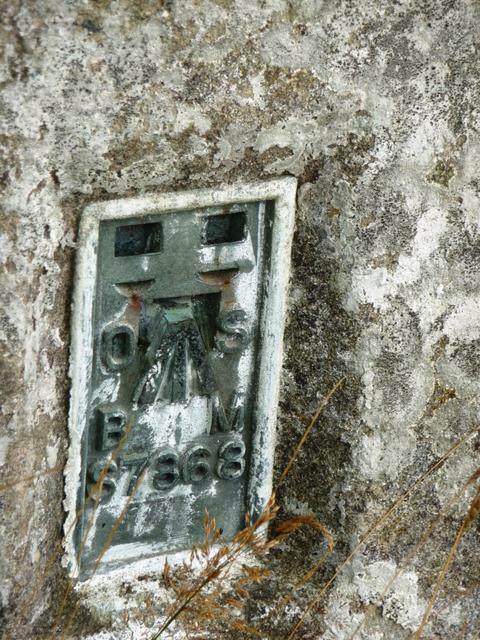 As an aside there is a monument near St Ives - Knills Monument - SW517387 I guess there as a waymark for St Ives. 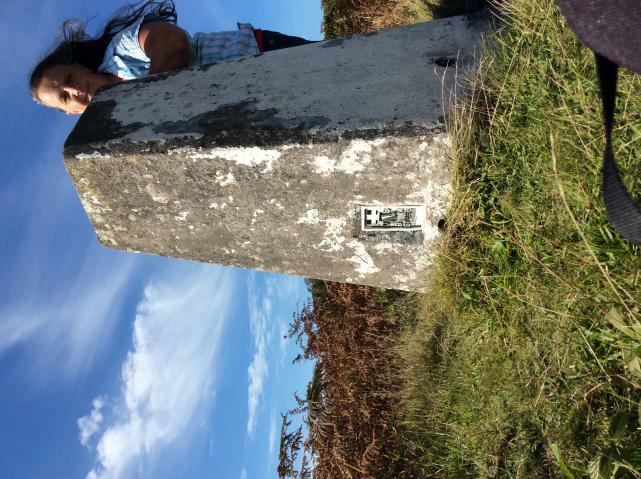 On my return from Marazion to St Ives it was clear how valuable it would be for anyone without a map. Walked from car park at SW500372. No real paths. Unpleasant gorse and tussocks in the rain. What view? Fantastic... Picked a brill evening, the views are tremendous. 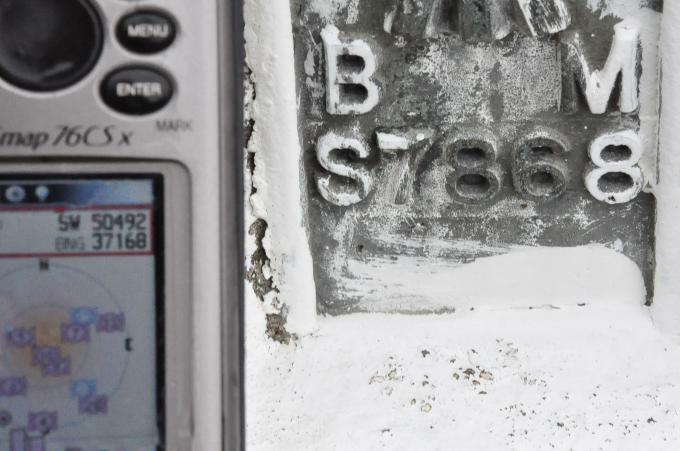 Could also spot the locating pin at the pillar's base. Easy access along the footpath from Cripplesease where there is parking at the pub. Plug missing. Fantastic view from this location. 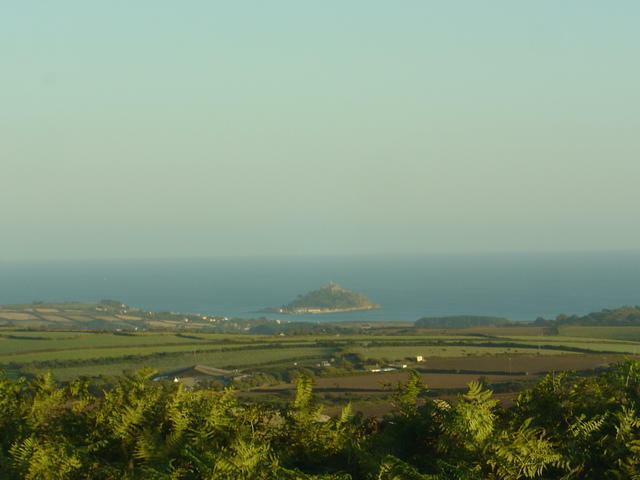 The sea both sides of Cornwall can be easily seen as can St. Michael's Mount.